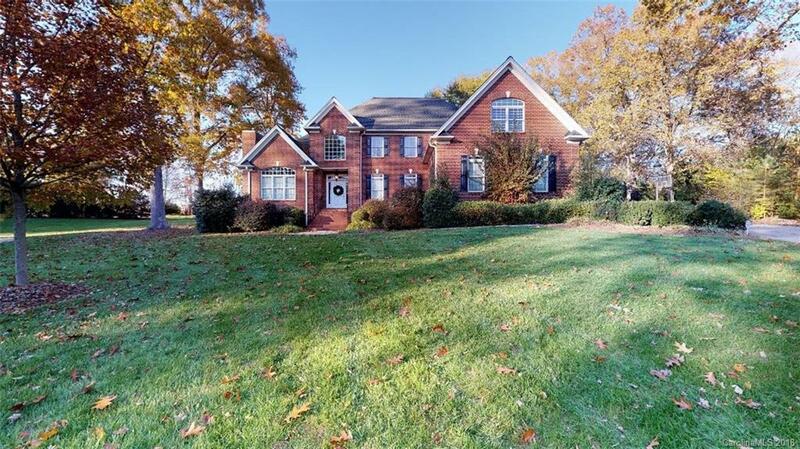 BEAUTIFUL FULL BRICK HOME in the great St Andrews neighborhood. It features so many lovely details throughout the house. Open floor plan, cathedral ceilings, hardwood floors, front and back staircases, formal dining room, formal living room, office with French doors, media room, and additional bed/bonus room upstairs. Gourmet kitchen equipped with gas stove, kitchen island, breakfast bar, SS appliances, range/hood, wall oven, wall microwave, and plenty of cabinets for storage. Master Bedroom and Bathroom on the main level features tray ceilings, direct access to the office, dual walk in closets, walk-in shower, garden tub, and double vanities. 2nd Master upstairs and ensuite guest bed/bath. Wired surround sound. Oversized 3 car garage. So much to see!! Whole house natural gas powered generator provides power to every room during electrical power outage. DON'T FORGET TO CHECK OUT THE 3D MATTERPORT TOUR.